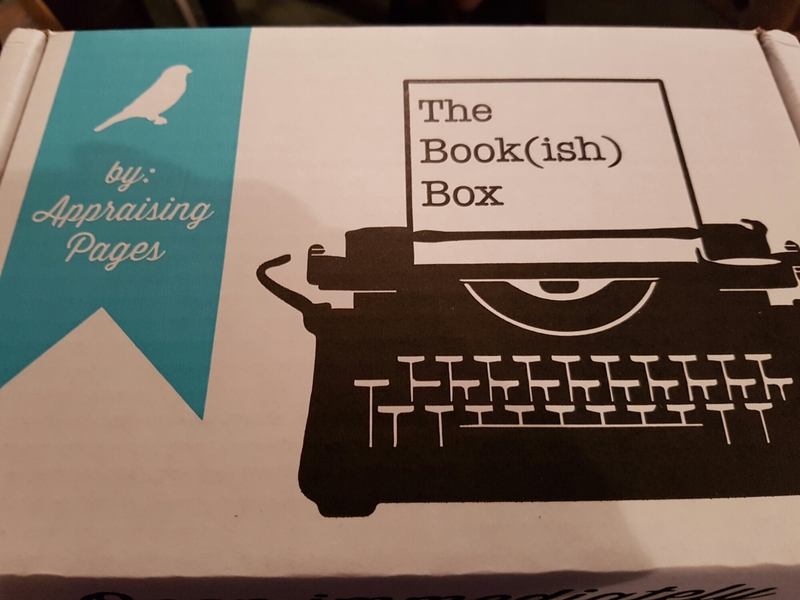 I do love a box of book related goodies so I treated myself to a Bookish Box. They come from the States so take a while to get here, but they’re worth it. 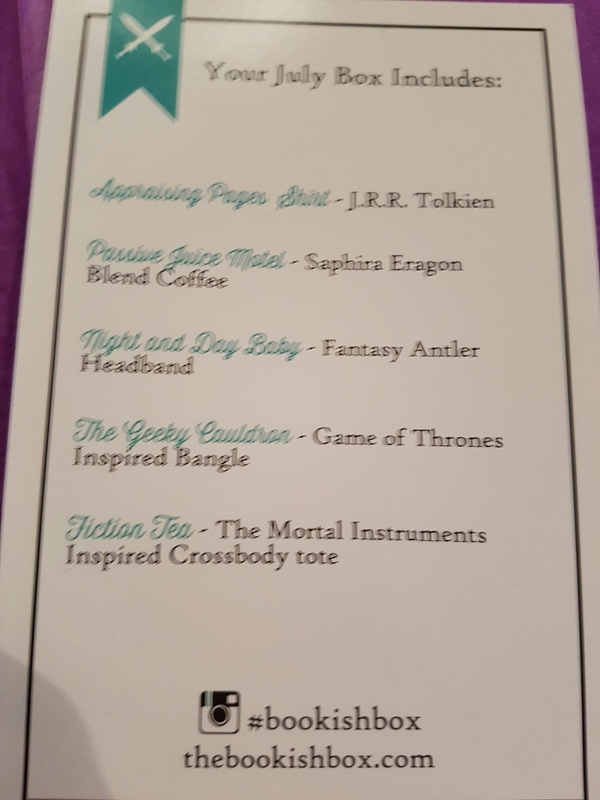 This month’s is Fantasy themed, one of my favourite genres, and every item has a link to a fantasy book or series. 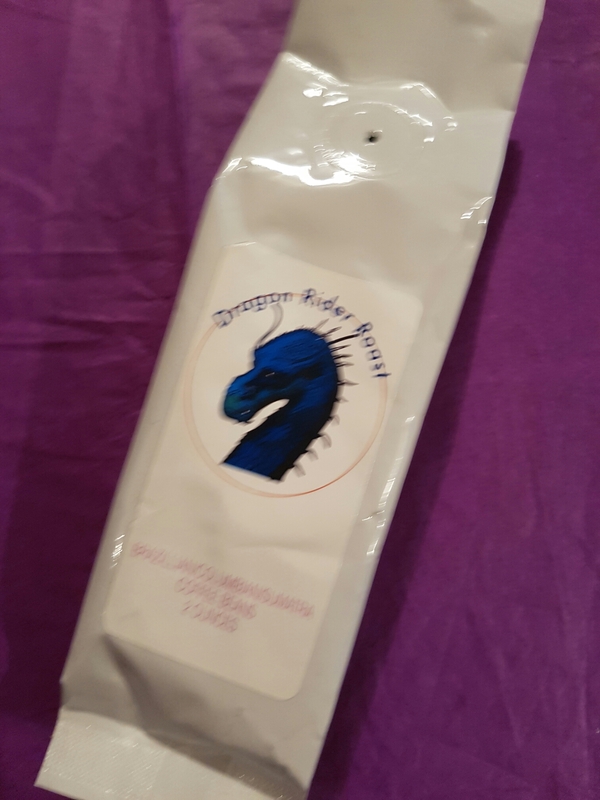 I don’t drink coffee but I live with a caffeine addict, so while I won’t get any use out of this Passive Juice Motel Saphira Eragon Blend Coffee someone else certainly will. I read the info card before I saw this so at first I was expecting a different kind of antler headband. 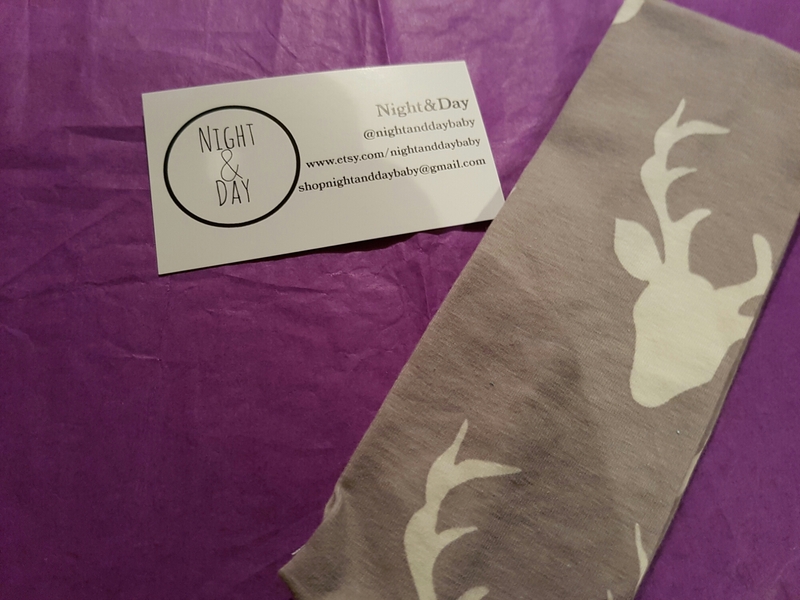 However this is really cute and as I’m trying new hair styles in the heat, the Night and Day Baby Fantasy Antler Headband will be making an appearance on my head. 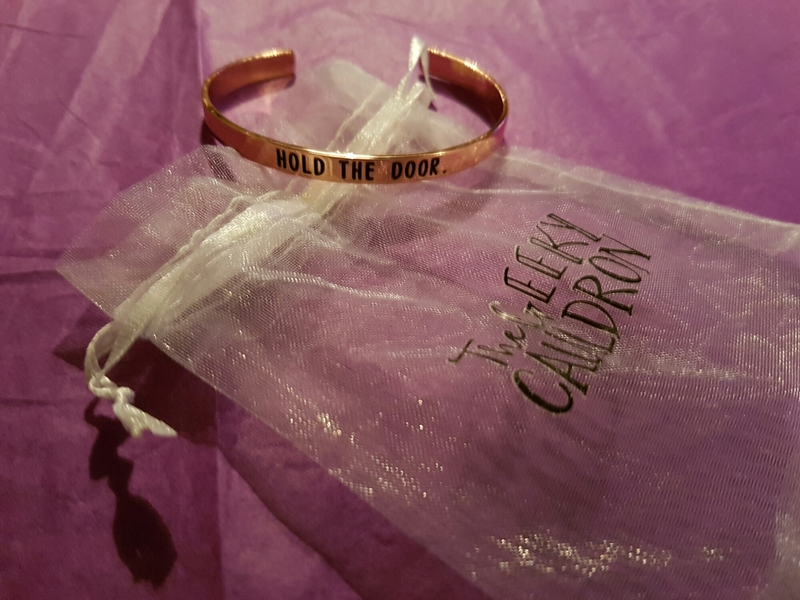 This cute bangle from The Geeky Cauldron, inspired by Game of Thrones almost set me off again. *spoiler * the death of Hodor really upset me, he was probably the noblest soul in the series and in the books. Why is the coffee fuzzy? 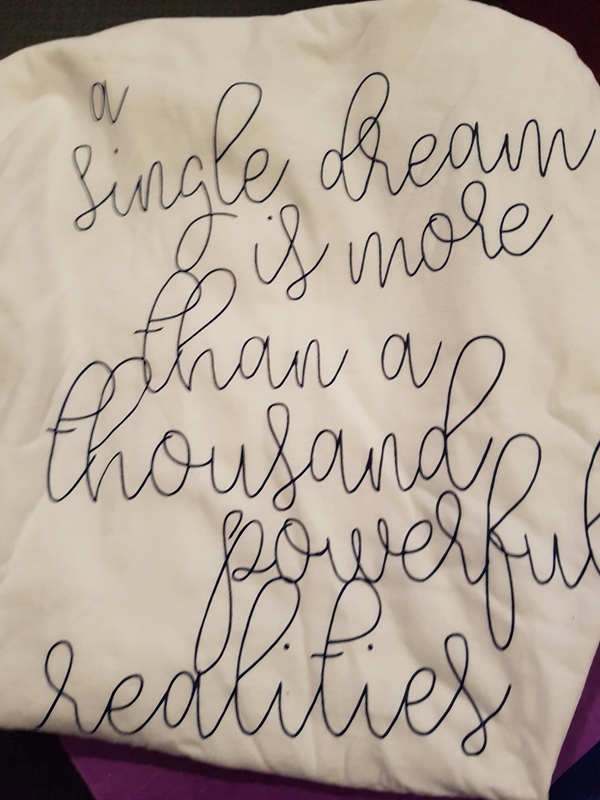 The Mortal Instruments series isn’t one I’ve read so I may not be fully appreciating this tote bag from Fiction Tea, but since shops charge for plastic and canvas is washable, this will definitely be added to my hoard of shopping bags. 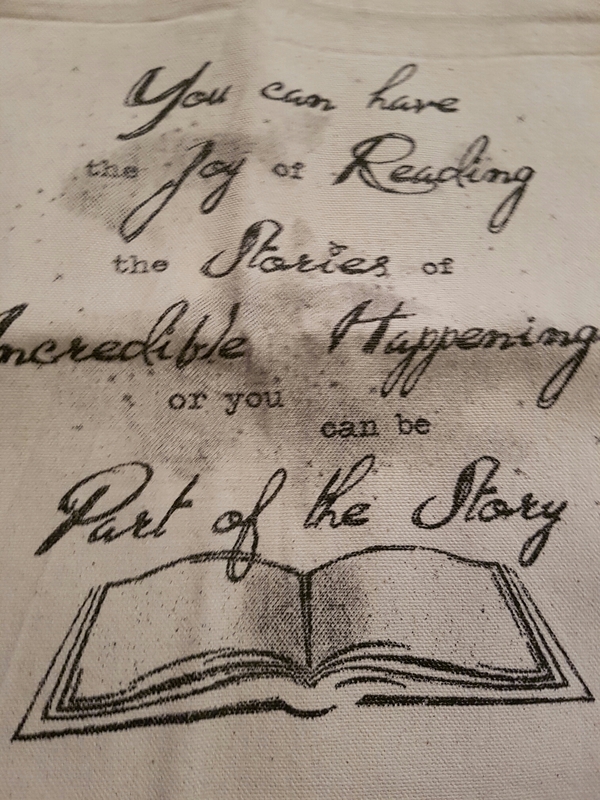 Finally there’s the exclusive Appraising Pages t-shirt from the Bookish Box’s creators. This month’s is printed with a quote from one of the fathers of fantasy – J.R.R Tolkien. 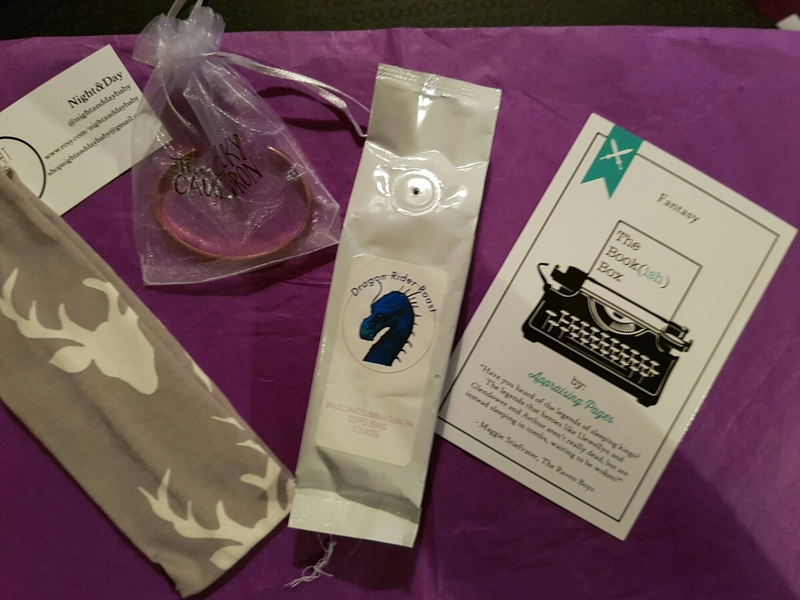 I really like this box, even the packaging is lovely, and I’m pretty sure everything will get used and loved. Are you a fantasy reader? 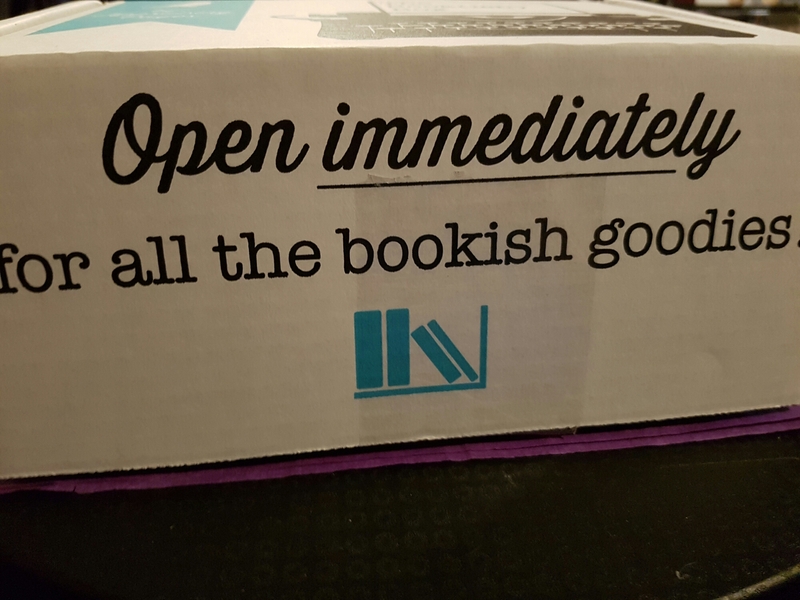 Or a Bookish Box subscriber? Let me know what you think in the comments below.